"No color can be preferred or not preferred in isolation. Every color is in context to another color." In celebration of NSK ltd.’s 100th anniversary, the exhibition ‘sense of motion’ has been hosted inside the multi–purpose cultural center of omotesando spiral in tokyo. At the center, visitors can be immersed amongst the 25,200 delicate flowers aligned in three dimensional grids. 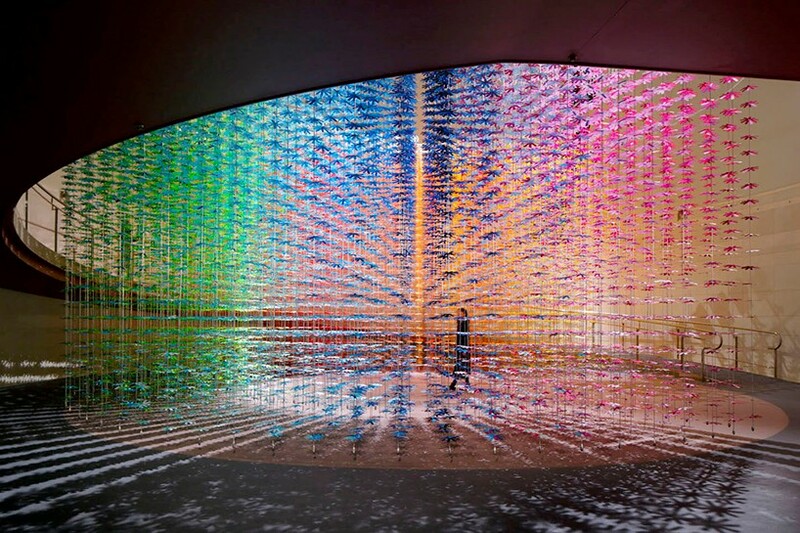 as well as being suspended from the ceiling, the flowers subtly rotate because of the NSK bearings and the windmills installed at the top and in turn, the installation produces a gradient of gradually changing color. by using bearings also for the axes of the flowers, visitors can reach out and turn the stalk to feel the spinning motion through color mixing. the scenographic element of the venue creates an artificial garden with the same flower motif used throughout and accentuating the sense of unity. It's interesting to note that many 'experts' on color fail to define what color really is. Could it be that they don't know? "Newton himself, who actually introduced the word “spectrum” into the English language to refer to the range of possible colors, eventually dismissed the idea that colors are literally contained in the light. “For the Rays, to speak properly, are not coloured. In them there is nothing else than a certain Power and Disposition to stir up a Sensation of this or that Colour.” Three hundred years on, what and where colors actually are remains a mystery." 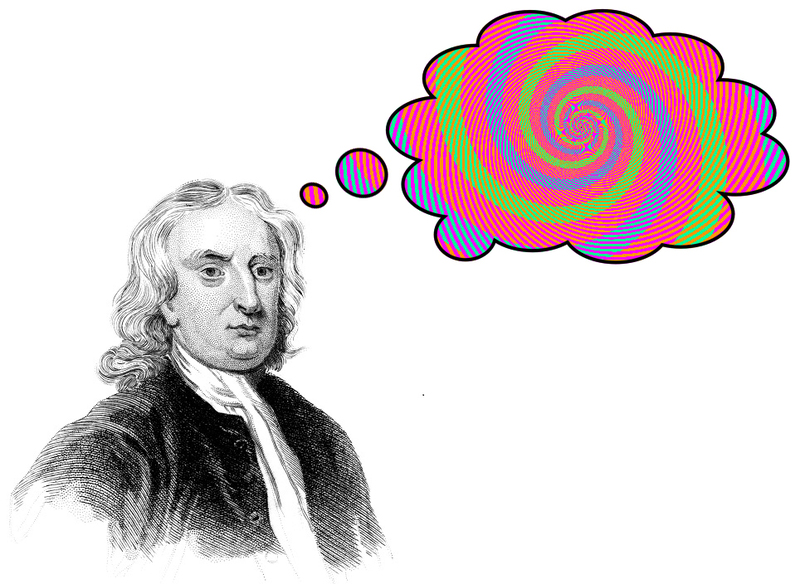 If you're ready for some mind boggling ideas about color, here are more thoughts on the subject, by Riccardo Manzotti, philosopher, psychologist, and artificial intelligence scholar. Henry Ford was famous for saying a customer could have any color of car she or he wanted, so long as it's black—a nod to how the industrialist viewed color, all function no fun. Black paint dried the fastest, and that mattered more than the expressionistic qualities of different colors. Many modern architects shared a similar obsession with the sterile white box and dismiss color as mere ornament. Not Le Corbusier. The renowned Swiss architect believed color was instrumental to orchestrating spatial effects. In a series of wallpapers for the Swiss company Salubra, he rhapsodized about his color theories. 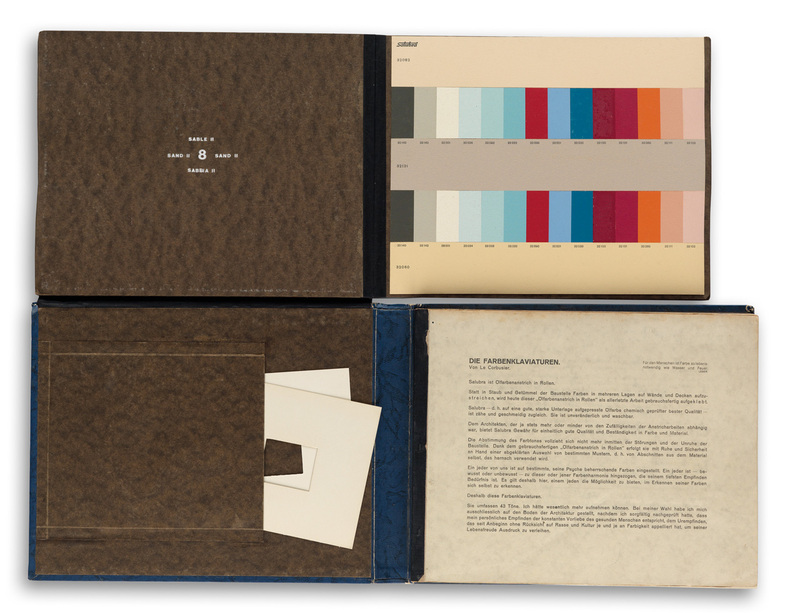 "Each of us, according to his own psychology, is controlled by one or more dominant colors," he wrote in a 1931 swatch book for the brand, which was inspired by his Architectural Polychromy essay from 1930. 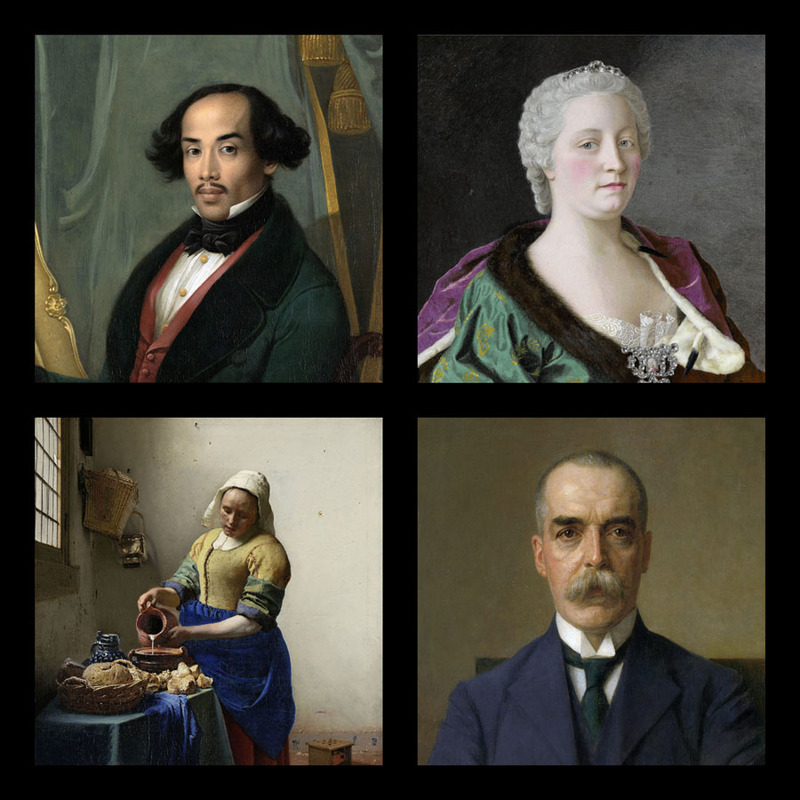 Did you guess that the bottom left image is Vermeer's 'real' Milkmaid? A simple survey shows that many people pick another one as the 'real' image. 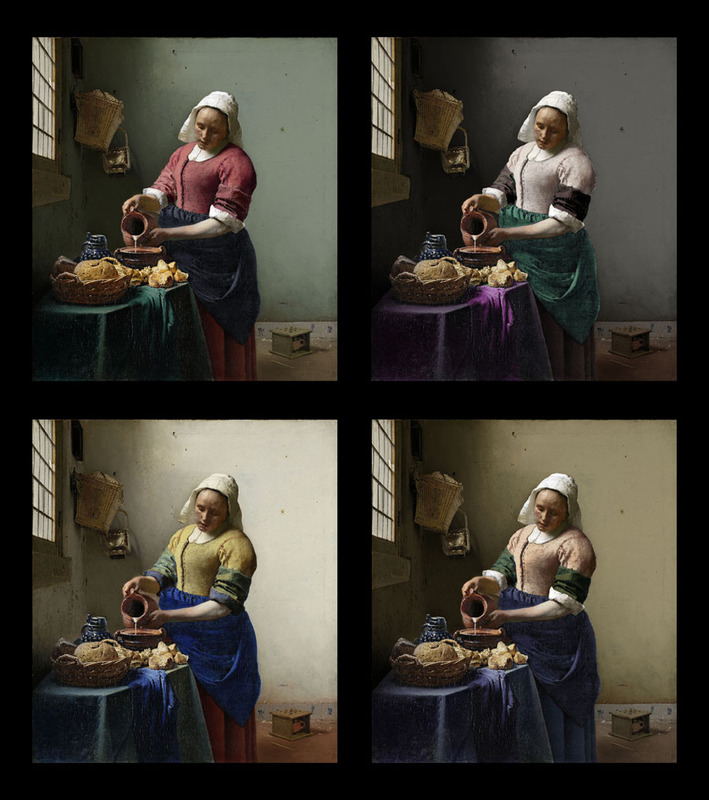 Below you can produce your own color transplant with an interactive version of the Milkmaid. Image of a Graphene Pixel that changes color with shape.